Our Kodaly/ Ordf and Dalcroze programsare an excellent beginning for those starting their musical journey. The program is a natural progression for students who have already experienced our Music for You and Your Baby classes. Each level introduces and reinforces age-approrpiate skills through speech, song, movement, instrument play, listening, and creative exploration. The word chamber in music refers to a small group of singers or instrumentalists as opposed to a full-sized choir or orchestra. In an intimate setting, greater attention is given to developing each vocal skills, establishig music literarcy and increasing confidence and self-expression. Our choirs offer a wonderful opportunity to enjoy making and sharing music with other young musicians. JR. Chamber (6-10 years old): this is an excellent stepping stone for students who enjoy singing and would like to pursue priva vocal studies, but may not yet be ready to commit to a routine of daily practice. 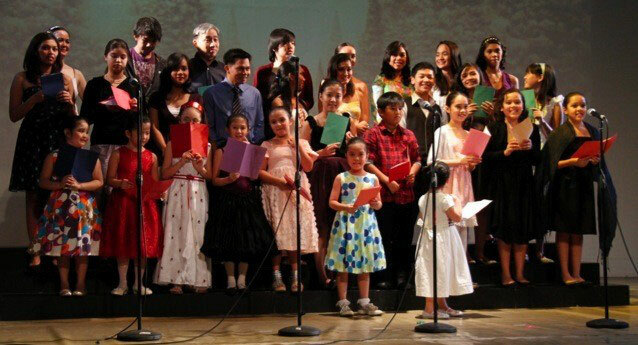 Intermediate Chamber (11 years old and up): Suitable for the more seasoned singers who are eager to explore a wide variety of repertoir: classical work, contemporary broadway musicals, light jazz selections and more. 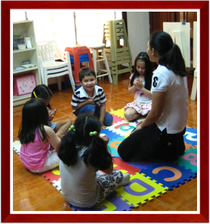 For students already enroled in private lessons, this is a wonderful oppurtunity to share the joy of singing with others.